And they're good. Darn good. It turns out audiences were itching to see Tim Allen's outspoken conservative character on "Last Man Standing" be outspoken again. Allen's character, Mike Baxter, wasn't afraid to tell his kids just what he thinks about political correctness, or his wife just what he thinks about Hillary Clinton. Take this scene, for example. Mike: Wow. Hillary Clinton's asking us for money. Will her string of mistakes never end? Eve: The hits keep on coming, but she'll never top Benghazi. That's her "Stairway to Heaven." Mike: Yeah, that's the kind of screw-ups that happen when you spend all your free time deleting e-mails. Vanessa: It's not a mistake. I donated to Hillary. I think it's time. Mike: Well, I think it's time to pierce my broken heart with this knife. Eve: Mom, I know you love the show "Scandal," but do you really want to watch it every night for four years? Vanessa: Yes, I do. And every night, I will be in a different pair of pajamas. Some conservatives suggested that the main character's non-PC nature was the reason ABC decided to cancel the show, despite its rather large and devoted audience. The network denied that accusation. Months later, the show was picked up by Fox. Outspoken politics was "Roseanne's" appeal too. Before she was fired from her titular role on the revived ABC sitcom for her controversial tweets, Roseanne was a diehard President Trump supporter. Barr is a Trump fan in real life, too, which made her banter with her liberal sister on the show especially honest and funny. Yet, "Roseanne" was cancelled and its spinoff, "The Conners," did not prove to be so popular this week during its premiere. 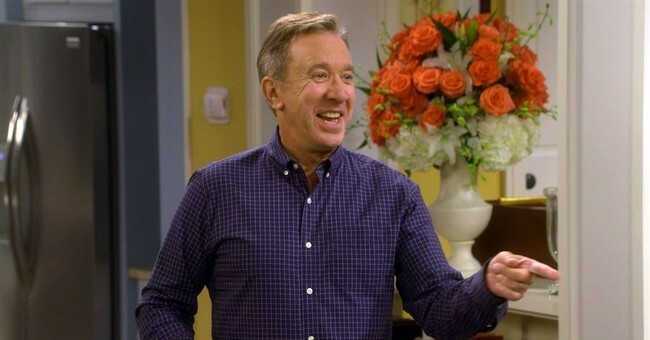 "Last Man Standing" can still count on its main star and his politically incorrect rhetoric, which will perhaps be the show's keys to success.